See a size comparison with a ruler and a quarter. See a close up image. 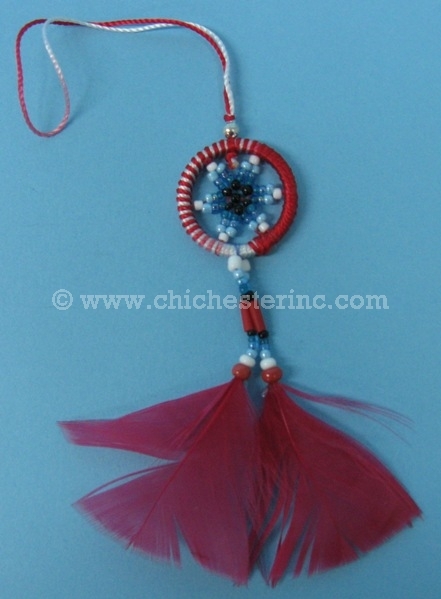 These beaded dreamcatcher cell phone fobs are made by the Quichua of Ecuador. The metal rings are 1" wide. 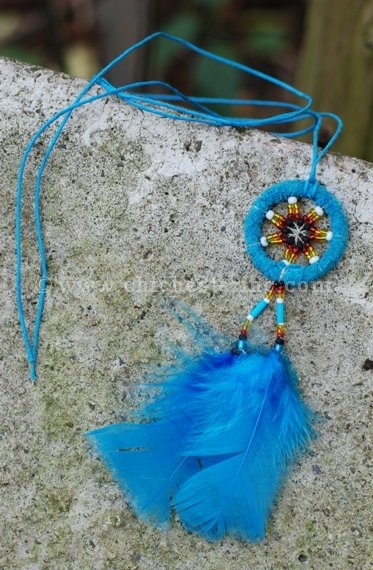 They are made using glass and/or plastic beads and chicken feathers. The overall length is approximately 8" long. Each cell phone fob weighs 0.1 oz. They come in assorted colors. Genus and species: Gallus domesticus. Ranch. Chickens are not an endangered species and are not subject to CITES controls.